Usually, we want to keep all bacteria out of our food. 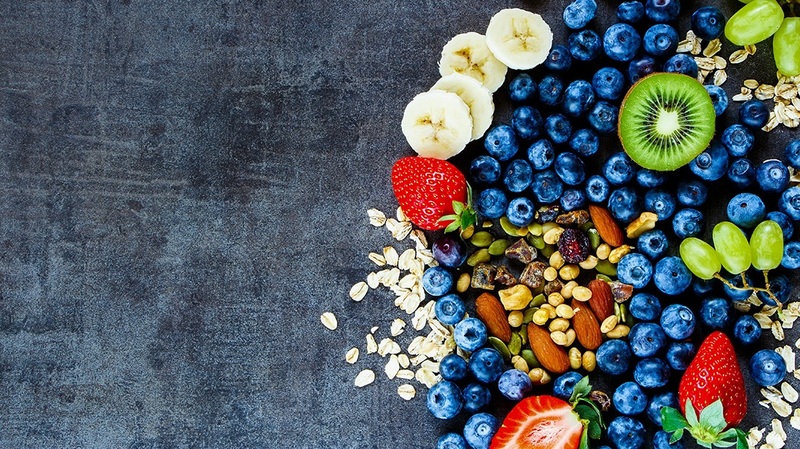 A recently resurfaced food trend that is actually based on a thousands of years old tradition of mankind is all about the opposite – getting bacteria into our foods! There are different types of fermentation processes, producing various foodstuffs with individual benefits. The anaerobic fermentation is a type of fermentation under the absence of oxygen that is used for the production of many wines. The aerobic fermentation with oxygen is typically used to make sour dough bread. For a wild fermentation you don’t need any specific cultures. What you use is the organisms already present in the air or on the organic material itself, like when working with natural yeasts or making sauerkraut. Cultured fermentation works with very specific cultures – meaning pre-cultured bacterial compositions – you can only use to produce a specific ferment, like kombucha or kefir (You will learn about these two beverages below!). Fermentation started as a means of preservation in prehistoric times, yet this type of food preparation has further advantages. Fermented foods are high in antioxidants, making your body detox. So by consuming them, all toxins are being pushed out of your body through the skin. Also, fermented products are rich in different vitamins and minerals, such as vitamin B1, B2, B3, C and K, biotin and phosphorus. On top, you will be getting a better digestion and in consequence a clearer mind and more energy! Probiotics are the superheroes of bacteria. As opposed to “bad” bacteria – the ones that we think of immediately causing sickness, tiredness and allergies – probiotics are the good ones. These beneficial bacteria live in our intestine, strengthen our immune system and ultimately help us fight the bad bacteria that try to invade our immune system. Fun fact: the human body actually consists of only 10% human cells and 90% of cells are comprised of different bacteria that live with and work for us. 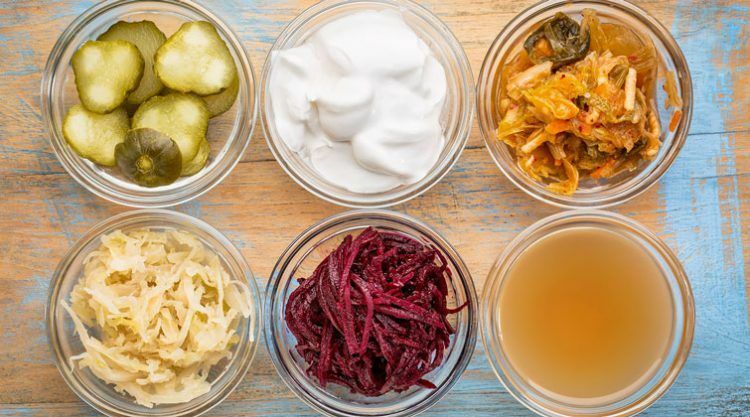 So if you think about it, eating fermented foods is simply a means of adding good living bacteria to an already existing mix, stabilising the bacterial diversity in our body and keeping yourself healthy. You might have heard of kombucha, as its popularity has risen in recent years. You can buy the carbonated fermented tea-based lemonade by different brands in organic food stores, supermarkets and cafés or – even better – make it yourself! For those who haven’t heard of the drink yet: kombucha is made from sweetened (usually black) tea that is fermented by a specific culture called kombucha SCOBY for 7 to 14 days. 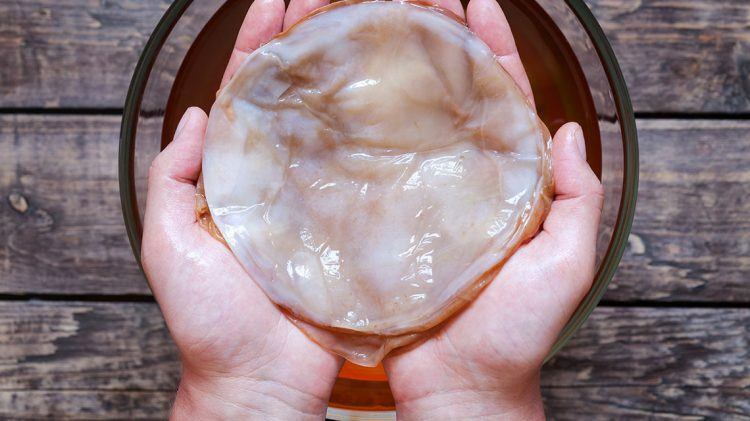 The SCOBY, short for Symbiotic Culture Of Bacteria and Yeast, is put in the cold sweet tea and digests the sugar into loads of beneficial vitamins like B1, Niacin and Riboflavin next to lacto-bacillus and carbon dioxide, giving the kombucha its unique sour taste and light sparkle. Two other types of SCOBYs are water and milk kefir SCOBYs. 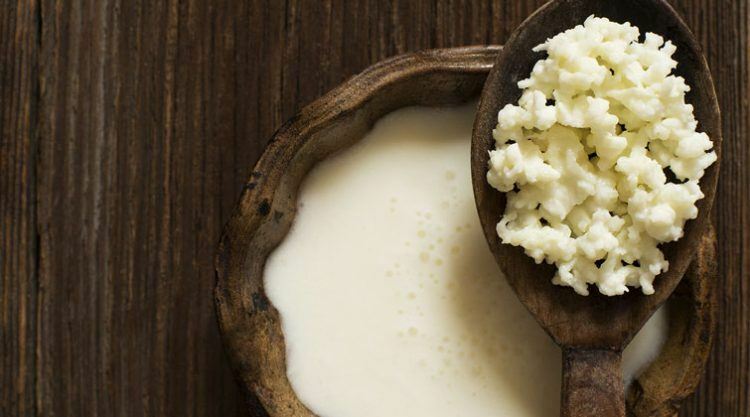 The kefir you might have heard of is milk kefir, a cultured dairy that originates in the Caucasus. In this region it is praised as a life-prolonging beverage. The folic acid, biotin, phosphorus and vitamin K inside the milk kefir are very beneficial for your health and also the drink is anti-inflammatory. Milk kefir grains grow in small shapes that resemble a cauliflower and are lumpy and white. 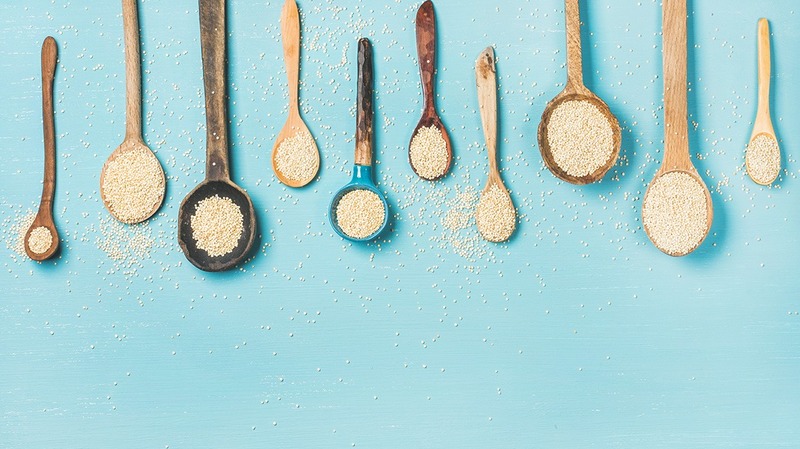 Milk kefir is created by mixing these grains with milk and letting the mixture rest at room temperature for 1–2 days. Water kefir can be light and effervescent or deep and yeasty, sometimes even have a very slight amount of alcohol in it. Its taste ranges from sweet to sour, depending on the preparation. Water kefir SCOBYs look like small crystals and are able to live in fruit juices, sugar water, plant-based milk or coconut water, making them perfect for your kefir experiments. Without having to buy any equipment, you can start doing an easy natural fermentation at home today! 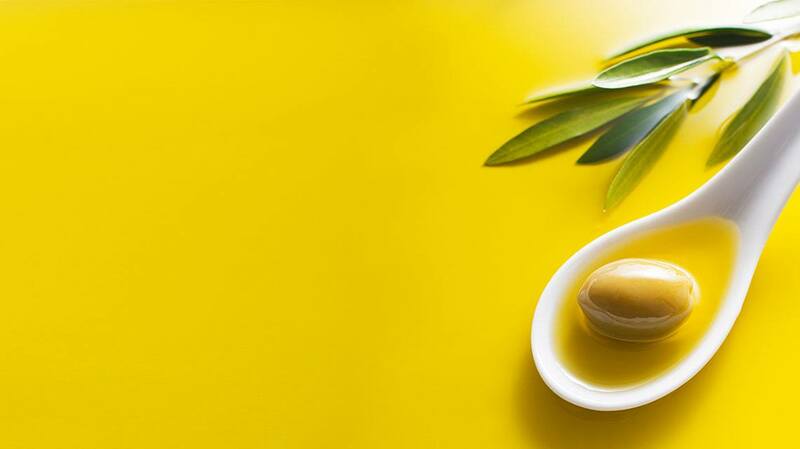 All you need is a preserving jar, your vegetable of choice, salt and your hands. Start by cleaning your jar with boiling water to kill unwanted bacteria inside. Then chop your vegetables – try asparagus, kraut or cucumbers – and put them inside your jar. 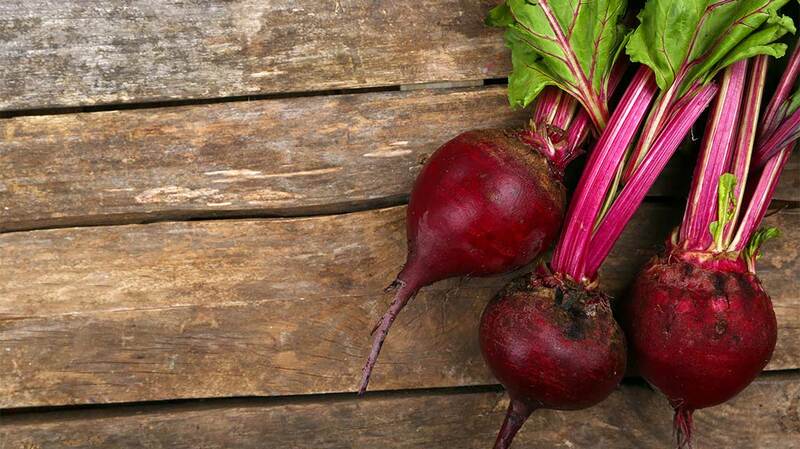 Mix your vegetables with salt and let them sit for about an hour. Finally, fill up the jar with water and keep sure all the vegetables are underwater. If necessary, put a weight – like a smaller glass or a clean stone – on top of your vegetables, so they stay underwater. Wait for five or more days and then try your own fermented treats!